What We Do – Jarman International K.K. Jarman International aims to connect Japanese companies with the non-Japanese end user. Visiting tourists are expected to reach 82 million annually by 2030, the number of international professionals living in Japan is more than 2.5 million and the number of millennial international residents is also on the rise. 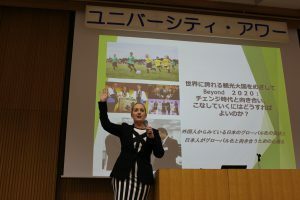 CEO, Ruth Marie Jarman (author of six books on Japan) and her team believe this is the new and ready market for every Japanese business, government agency and local municipality. With almost 30 years of experience and the Core 50 consulting group, Jarman can help you in developing strategy on how to better access and satisfy the international client. Jarman International is ready to assist with training, marketing, promotion, review and implementation on strategies to help leverage this new market. 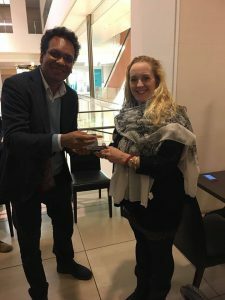 We believe a successful effort towards the international inbound market must be a win-win for all parties and we see creating this win-win as our primary core competence. At Jarman International, we’re constantly looking for ways to connect new people, businesses and organizations within Japan and abroad. 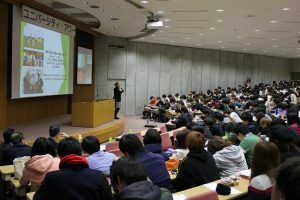 Stay informed on the latest activities of the JI Core 50 and check back for regular updates about Ruth Jarman’s speaking engagements around Japan. 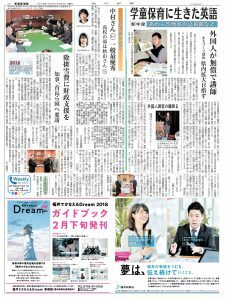 Ruth was featured in Fukui newspaper for one of her excellent speeches, this one for JNTO. JI remained a proud sponsor of For Empowering Women in Japan (FEW) in 2017. JI was proud to become an official sponsor of the Tokyo Cricket Association in 2017. 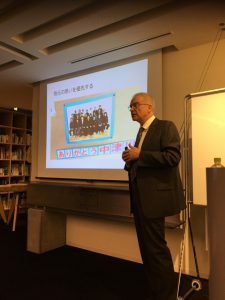 Dec. 21, 2017: Adam Fulford presenting about his support for Nakatsugawa in Yamagata Prefecture for the HRM Association. Go Core 50! 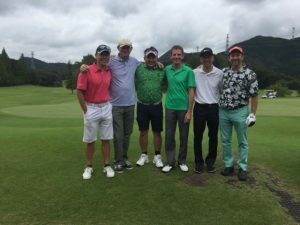 Dec. 3, 2017: Andrew D. Stevens visited new JI partner Eastwood Country Club. Look for more news about Eastwood in 2018. 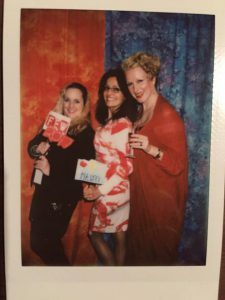 April 4, 2017: Sheila Ryan, Ruth Jarman and Paul Walsh attend the Kobe Blog Summit. 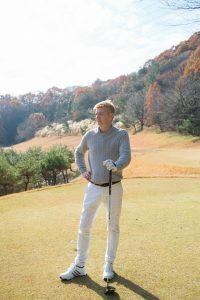 Ji Core 50 member Kervin Go planned the first Jarman Cup at Eastwood Country Club.